What would Jesus do? • A doctrinal divide grips Mormons as church hierarchy stays on the sidelines. Dallin H. Oaks LDS Church President Thomas S. Monson Mark Willes Tony Yapias Dee Rowland heads Salt Lake City Catholic diocese's Peace and Justice Commission. 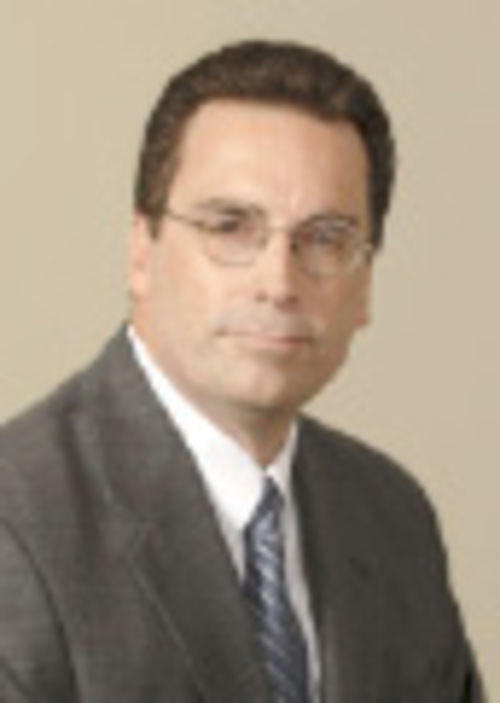 Paul T. Mero is president of Sutherland Institute. 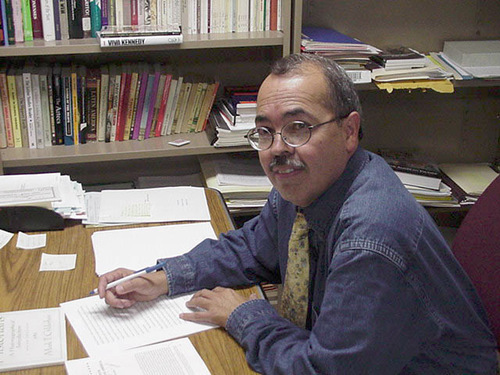 Brigham Young University professor Ignacio Garcia, here at work on a book about a Supreme Court decision that first recognized Hispanics as a class apart, meriting equal protection under the 14th Amendment. 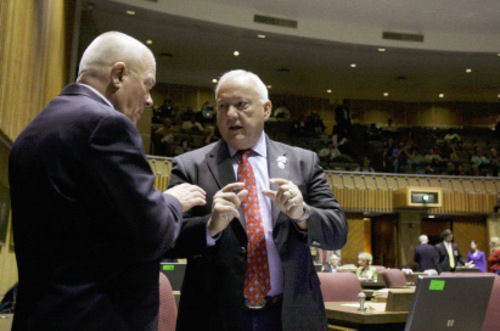 Ross D. Franklin | The Associated Press&#xA;Arizona state Sen. Russell Pearce, R-Mesa, right, speaks with Sen. Al Melvin, R-Tucson, before an April vote on an immigration bill, in Phoenix. Arizona lawmakers approved a sweeping immigration bill Monday intended to ramp up law enforcement efforts even as critics complained it could lead to racial profiling and other abuse. Would God, one side asks, demand strict obedience to the law  and penalties to those who transgress it  as suggested in Mormonism's Doctrine and Covenants 58:21? "Let no man break the laws of the land, for he that keepeth the laws of God hath no need to break the laws of the land." Or would he, the other side counters, look beyond border violations and extend a hand toward the nation's undocumented population under principles preached in Matthew 25:40? "Inasmuch as ye have done it unto one of the least of these my brethren, ye have done it unto me." 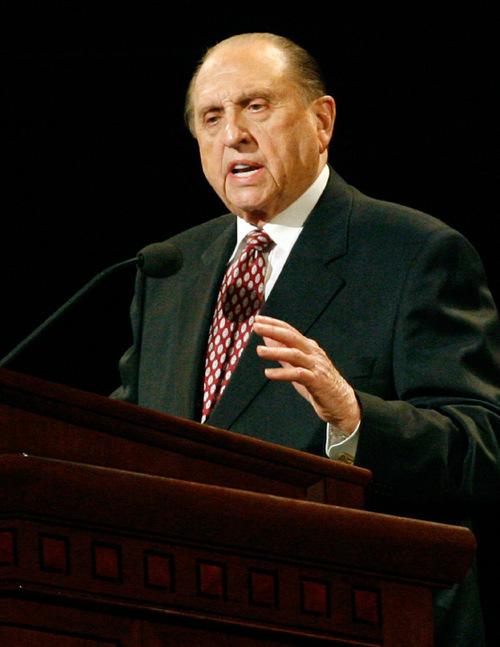 The "What Would Jesus Do" question isn't easily answered in a scripture-laden debate that has pitted biblical passages from Exodus to Ephesians against one another and placed the parable of the good Samaritan on the opposite side of the ideological debate from an anecdote delivered by LDS President Thomas S. Monson about Saints behind the Iron Curtain. Utah's dominant religion hasn't taken a definitive position on the question. Instead, church leaders have called for "compassion" and encouraged "careful reflection and civil discourse" when debating immigration reform. LDS Church leaders would not elaborate for this story. In the absence of an official voice from the Mormon hierarchy, doctrinal defenses are forming on their own to justify  or decry  a proposed Utah law that would clamp down on illegal immigration. Rep. Stephen Sandstrom, R-Orem, has unveiled a bill that reflects the controversial crackdown in Arizona  initiated by a fellow Mormon, state Sen. Russell Pearce, R-Mesa. Sandstrom's bill would tackle illegal immigration from several angles. Among the highest-profile provisions: It would require police to check the immigration status of anyone stopped for a traffic violation or detained for a crime if there is "reasonable suspicion" that the person is in the country illegally. It also would make it a felony to encourage undocumented immigrants to come to Utah, expand the criminal prohibitions against transporting illegal immigrants, allow residents to bring legal action against a government agency that "limits" enforcement of federal immigration laws, and require a legal-status check before someone can receive certain public service and licenses. 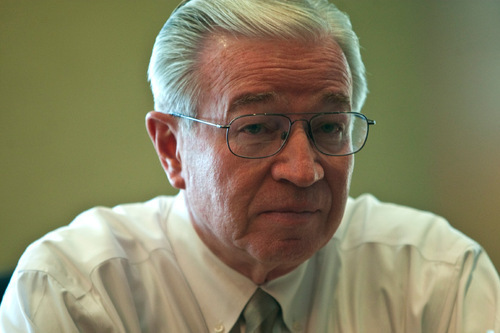 Sandstrom views his legislation as consistent with LDS doctrine  specifically with the church's continued emphasis on Latter-day Saints obeying the law. The church's family proclamation, for example, urges parents to teach their children to "observe the commandments of God and to be law-abiding citizens wherever they live." Sandstrom's most frequent argument arises from the church's 12th article of faith, which states that Mormons "believe in being subject to kings, presidents, rulers and magistrates, in obeying, honoring and sustaining the law." "No matter how much you tout how bad of a violation it is, you are here illegally," Sandstrom says. "That is a violation of law." Actions speak louder • Opponents counter that the doctrinal argument isn't as clear as Sandstrom suggests. Questions arise about whether the nation's immigration policy is just ("So many of our laws are so arbitrary … this unequivocal demand to support the law is not only unrealistic, it is idiotic," Sutherland Institute President Paul Mero says); whether the proposed punishment fits the crime ("If a law does not respect the basic human dignity of every human being, then it is our responsibility as human beings to speak out," the Salt Lake City Catholic Diocese's government liaison, Dee Rowland, says); and whether a church that practiced polygamy illegally for a time really would condemn immigrants who might see a higher purpose in crossing the border to pursue their faith and feed their families ("There is this broader idea that people are coming because the Lord has something greater for the Latino saints," says Brigham Young University history professor Ignacio Garcia). Rock Ballstaedt is an inner-city service missionary appointed by the LDS Church to help Spanish-speaking Mormons in dozens of wards and branches. He doesn't know which members are undocumented. He doesn't ask. Ballstaedt has come to know those immigrants as husbands and wives, fathers and mothers, who are trying to eke out a living for their families. He doesn't believe that the LDS Church would look favorably on legislation that would distance those people  not when the faith allows undocumented immigrants to be baptized, serve missions, receive the priesthood and qualify for temple recommends. "We should stand back and see how the church treats them," Ballstaedt says. "The church doesn't push them away. Who are we to single them out and ridicule them and persecute them?" Indeed, the church's actions may speak louder than its words  or the lack of them. Amid a series of in-depth stories about illegal immigration this summer, the church-owned Deseret News published a rare front-page editorial. It was accompanied by an image of the Statue of Liberty with the inscription, "Give me your tired, your poor, your huddled masses yearning to breathe free." "We, of all people, should be sensitive to the desire of others to provide more opportunities for themselves and their families. We, of all people, should take the time to learn to love our neighbors, rather than allowing the fact that they are different to cause us to want to drive them from our midst. We, of all people, should set a higher standard of concern, compassion and love. Except for Native Americans, we are all here because of immigration. Common decency, and gratitude for what we have, should cause us to embrace those who have a desire to share in and add to what is already here." That message also was shared on church-owned KSL television and radio stations. 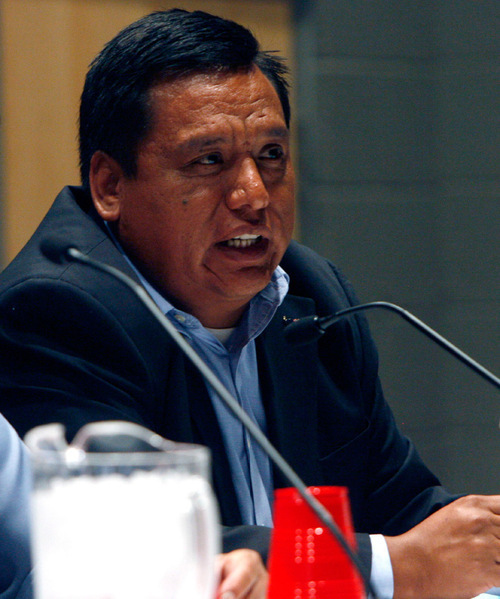 Tony Yapias, a Mormon and director of Proyecto Latino de Utah, sees the church's hand in that coverage. He argues LDS leaders are trying to "soften things up" among members before the church takes a more decisive stand. Garcia agrees. "What you are seeing is a realization from the very top that these people [undocumented immigrants] are incredibly necessary to the church." The LDS Church continues to count some of its largest membership gains among Latin Americans. The church has identified Mexico and Brazil as among its most prolific conversion spots in the world. 'Thou shalt not ...' • The scriptural backing for opponents of stricter immigration enforcement is found in the New Testament, where Jesus teaches about feeding the hungry, clothing the naked and sheltering the stranger (Matthew 25). They also point to the parable of the good Samaritan (Luke 10) in which Christ explains that loving "thy neighbor as thyself" is a command that transcends political boundaries. Yes, the federal government must find a fix to the nation's immigration laws, they concede, but state leaders should help, not harass, the immigrants who already are here. "It all begins with a central Christian concept: See them as human beings," says the conservative Sutherland Institute's Mero, who is Mormon. "See them as children of God. Do not objectify them." But other Mormons see it differently and point to doctrine to back it up. Rep. Chris Herrod, R-Provo, maintains the arguments against tougher immigration laws overlook several key Christian tenets  precepts that came off of Mount Sinai with Moses. Thou shalt not bear false witness (to get a job or government services). Thou shalt not steal (people's identities). Thou shalt not covet (thy neighbor's home or job or country). And yet the arguments go beyond that. They touch on holy writ's repeated call for honesty ("Whatsoever things are true, whatsoever things are honest, whatsoever things are just ... think on these things," Philippians 4:8 teaches), on the importance of justice ("Whatsoever a man soweth, that shall he also reap," Galatians 6:7 admonishes) and on the LDS instruction to abide civil law ("We believe that governments were instituted of God for the benefit of man; and that he holds men accountable for their acts in relation to them," Doctrine and Covenants 134:1 states). Herrod says his position also has been shaped, in part, by a doctrine found in Acts 10 and Romans 2: "God is no respecter of persons." In other words, God doesn't pick favorites. Would it really make sense, Herrod asks, for God to "reward those willing to break the law over those who are willing to stand in line and do the right thing?" "We are actually discriminating against ten of millions of people around the world who are trying to get to the country legally," he says. "They are following the law." 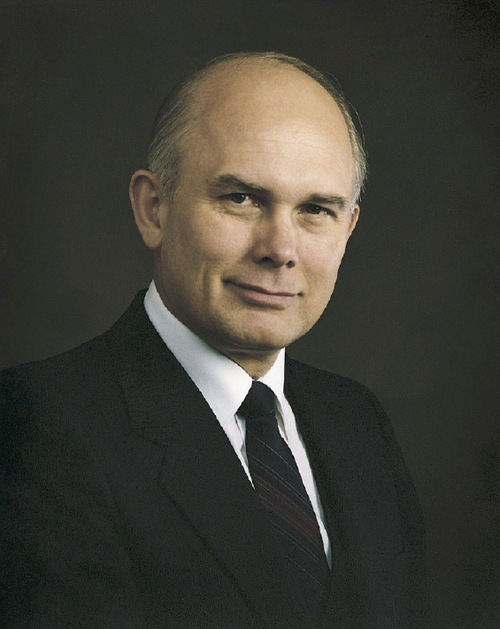 While LDS advocates of tougher immigration laws lean on scripture, they also draw on modern-day Mormon leaders such as apostles Dallin H. Oaks ("There is no place in responsible citizenship for dishonesty or deceit or for willful lawbreaking of any kind.") and the late James E. Faust ("Some laws seem irrational, but they are the law and, if wrong, should be changed by orderly process."). Current LDS President Thomas S. Monson offered this anecdote in 2007 about his years overseeing East Germany as a member of the Quorum of the Twelve Apostles: When the church sought permission to build a temple, and later to call young members to missions beyond the Iron Curtain, communist leaders responded, "Elder Monson, we've watched you for 20 years, and we've learned we can trust you and your church because you and your church teach your members to obey the law of the land." Sandstrom says the same principles apply to illegal immigration. "I can't, in my wildest dreams, believe that the church would come out and say illegal immigration is OK," he says. "That would completely violate all the basic doctrines of the church." And yet, when the Utah Legislature considered immigration reform in early 2008, Monson assigned a member of the First Quorum of the Seventy to urge lawmakers to use "compassion" in crafting their bills. "Immigration questions are questions dealing with God's children," Elder Marlin K. Jensen said at the time, and legislators should "measure twice before they cut." 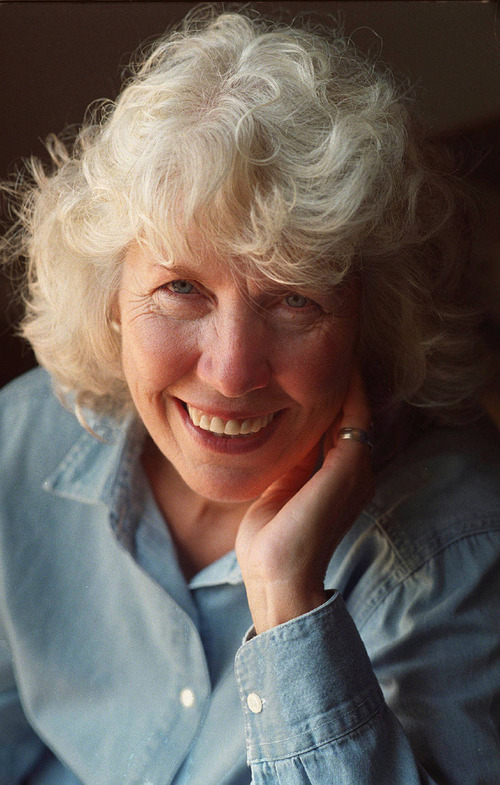 Jensen suggested "a more thoughtful … not to mention humane, approach is warranted." Higher law • Truth is, the church hasn't always obeyed the law itself. The faith didn't end polygamy until 1890  more than a decade after the U.S. Supreme Court ruled that the practice wasn't permitted on religious grounds and that violators could face criminal indictment. The church believed it was following a higher law. So do many immigrants who come to the United States seeking a better life physically and spiritually, according to Garcia, the BYU history professor. They break one law to obey what they perceive as a higher calling. "I doubt that anyone ever says, 'I am not violating the law.' " Garcia says. "Only that there is a greater purpose of being here." And how significant, in the end, is a violating a border? Salt Lake City Police Chief Chris Burbank, a vocal opponent of an Arizona-like crackdown, has noted that illegal immigration, by itself, is a "civil violation" of federal law. That's significant, according to state Sen. Ben McAdams, D-Salt Lake City. He says violating a civil code is considerably different than breaking a moral one such as robbery or murder. The penalties, he says, should reflect those differences. "We should seek to obey the speed limit," McAdams says. "But that doesn't mean that I should seek capital punishment for those who don't obey the speed limit." Sandstrom's bill, he warns, threatens a more significant social and moral ill: It could hurt families, and even tear them apart, across the state. 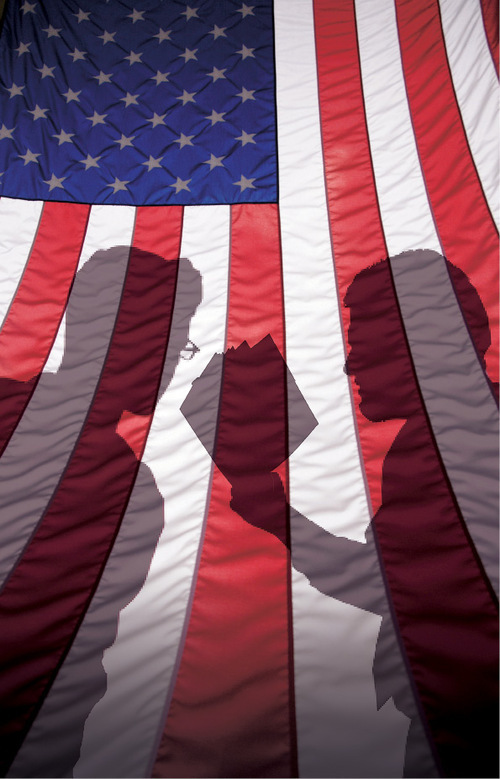 This doctrinal tug of war on immigration is expected to continue among Mormons  as it did on some gay-rights issues. Once LDS leaders endorsed Salt Lake City's anti-discrimination ordinances protecting gay and transgender residents from housing and employment discrimination, other local governments followed suit. If  or when  the church speaks further on immigration, Utahns could see a shift on that issue as well. For now, the church, a week before its semiannual general conference, remains silent. Except for this: "Finding a successful resolution will require the best thinking and good will of all across the political spectrum, the highest levels of statesmanship, and the strongest desire to do what is best for all of God's children." D&C 58:21 • "Let no man break the laws of the land, for he that keepeth the laws of God hath no need to break the laws of the land." D&C 134:1 • "We believe that governments were instituted of God for the benefit of man; and that he holds men accountable for their acts in relation to them, both in making laws and administering them, for the good and safety of society." Exodus 20:15-17 • "Thou shalt not steal. Thou shalt not bear false witness against thy neighbor. Thou shalt not covet thy neighbor's house." Malachi 3:5 • "And I will come near to you to judgment; and I will be a swift witness against ... false swearers and against those that oppress the hireling in his wages." Philippians 4:8 • "Whatsoever things are true, whatsoever things are honest, whatsoever things are just ... think on these things." Matthew 25:40 • "Inasmuch as ye have done it unto one of the least of these my brethren, ye have done it unto me." Matthew 18:33 • "Shouldest not thou also have had compassion on thy fellow servant, even as I had pity on thee?" Luke 10:27 • "Thou shalt love the Lord thy God with all thy heart, and with all thy soul, and with all thy strength, and with all thy mind; and thy neighbor as thyself." Ephesians 2: 19-20 • "Now therefore ye are no more strangers and foreigners, but fellow citizens with the saints, and of the household of God." Many observers will view next week's LDS general conference with an eye toward what President Thomas S. Monson and other church leaders may say about current social and political issues, including immigration. The conference is scheduled for Oct. 2 and 3 in the Conference Center, 60 W. North Temple St., Salt Lake City. Saturday's sessions are at 10 a.m. and 2 p.m. with a priesthood meeting for male members at 6 p.m. Sunday's sessions are at 10 a.m. and 2 p.m.